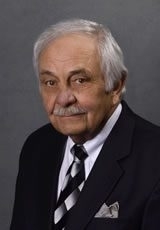 Erickson, Davis, Murphy, Johnson & Walsh, Ltd.
Garry E. Davis received a JD from Indiana University and was one of the founding members of the Law Firm in 1971. He has concentrated primarily in general insurance defense litigation and insurance coverage questions. He engages further in all aspects of the general practice of law. ©2019 Erickson, Davis, Murphy, Johnson & Walsh, Ltd.